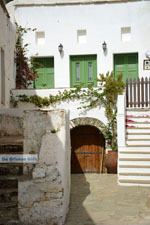 Loutra. 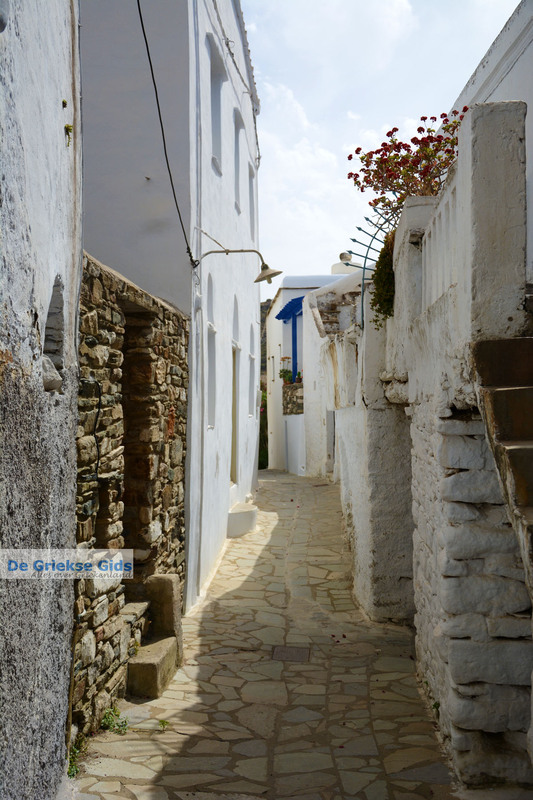 Loutra is a traditional village on the island of Tinos, set in a lush and fertile area filled with citrus plantations. 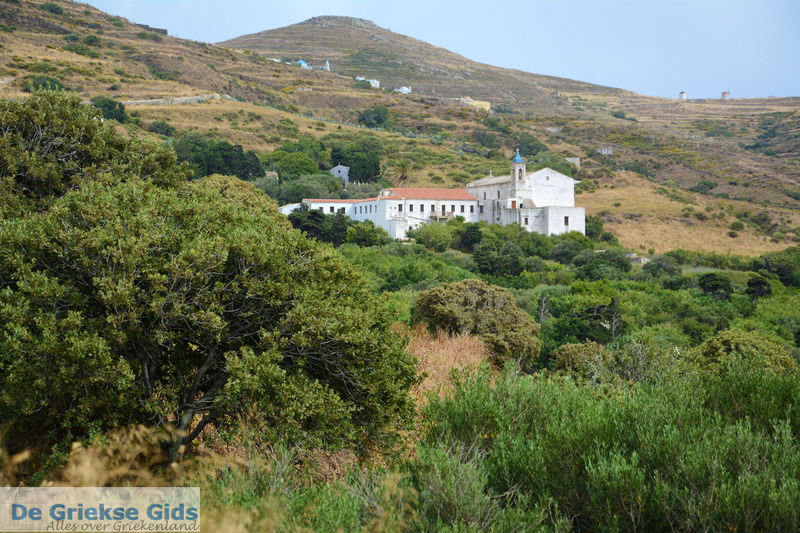 It is located eight kilometers (5 mi) north of Tinos Town, 172 meters (over 500 feet) above sea level on the slopes of a mountain in the heart of Tinos. 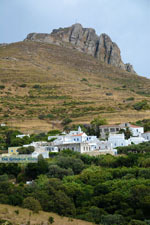 East of the village, the high rock of Exomvourgo looms above it. 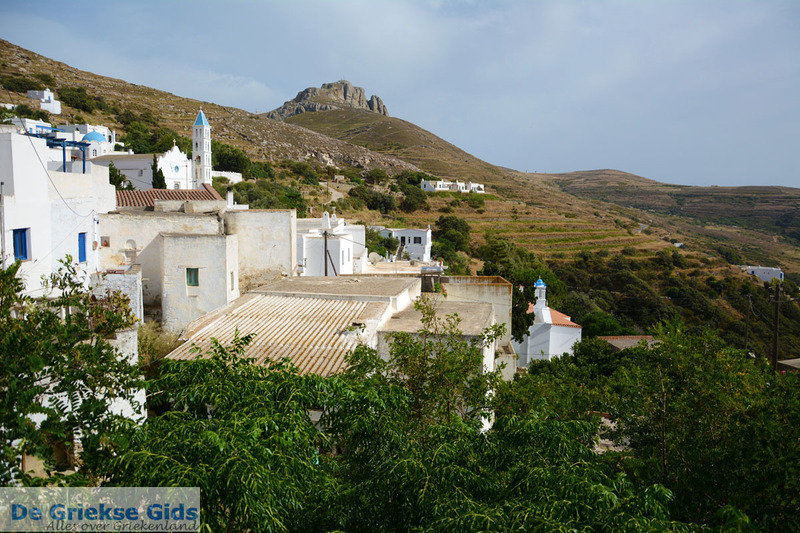 No more than 40 people live in the village nowadays. 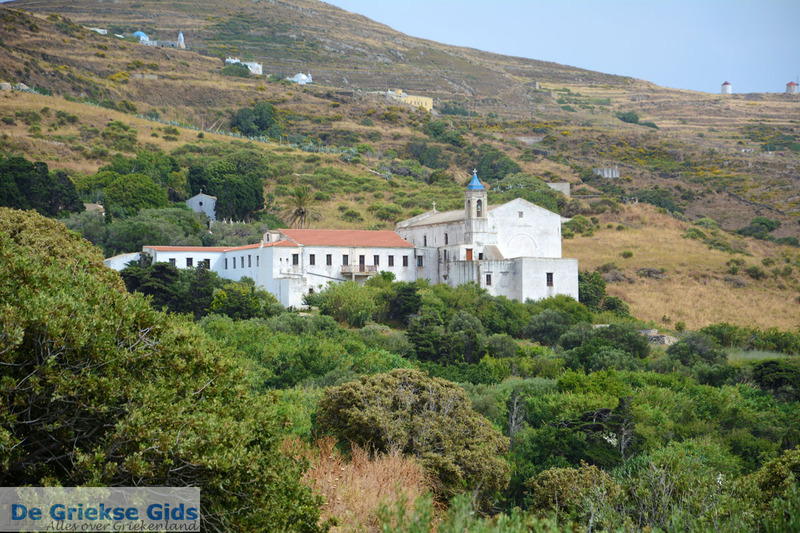 It is nearly uninhabited. Yet a walk through the narrow streets of the whitewashed village is very nice. 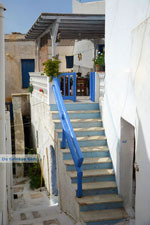 Most of the houses have two floors and on the outside are stairs leading to the upper floor. 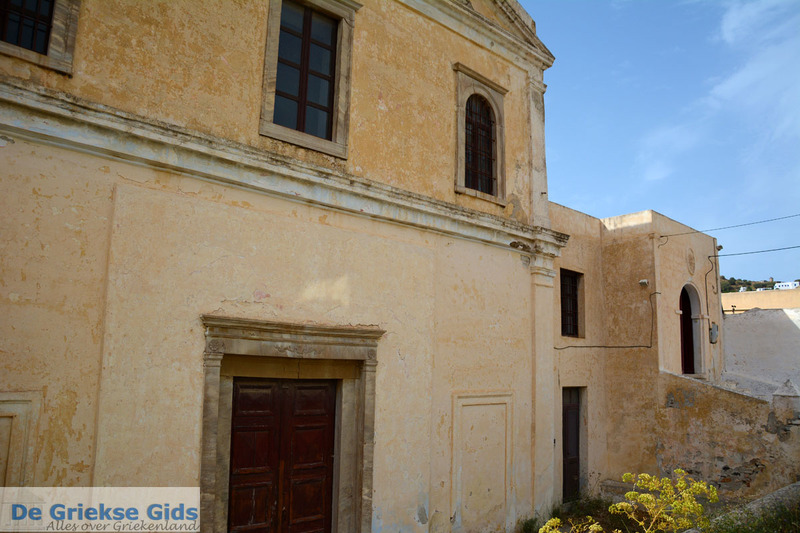 Loutra is of historical importance because here, in the 19th century, the Jesuits and Ursulines settled and built impressive monasteries. 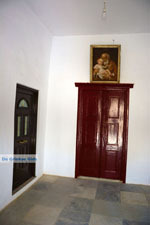 In the year 1862, the Ursuline monastery (nunnery) was founded. 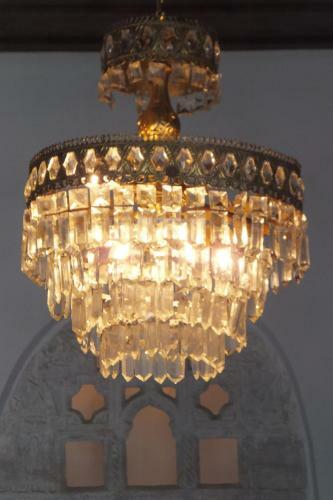 Today, it is a museum, which displays all kinds of objects that were used in everyday life. In the monastery of the Jesuits is the church of St. Joseph with intricate interior decor, beautiful murals and wooden pulpit. 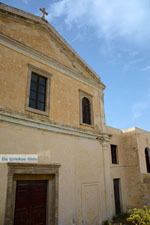 Beside the church is a museum where religious relics, agricultural implements and other objects from the past are exhibited. 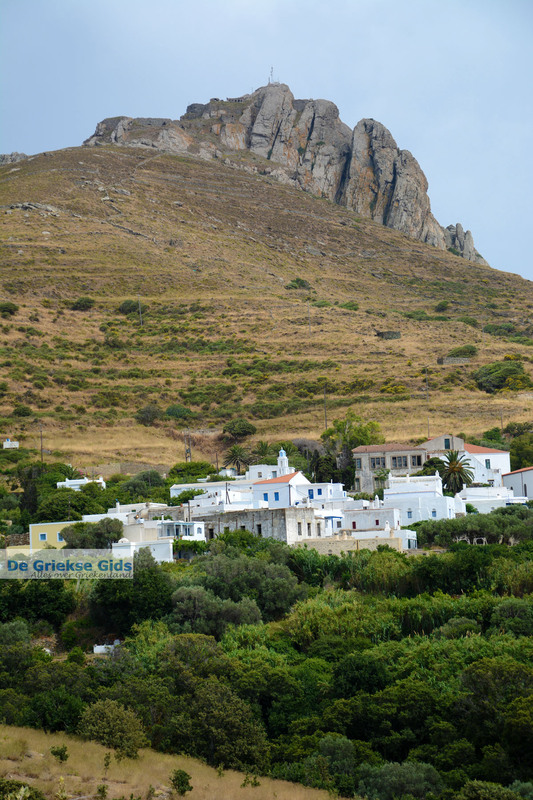 Beautiful villages near Loutra are Skalados and Koumaros. These villages are within walking distance, and a visit to these villages is more than worth the effort. 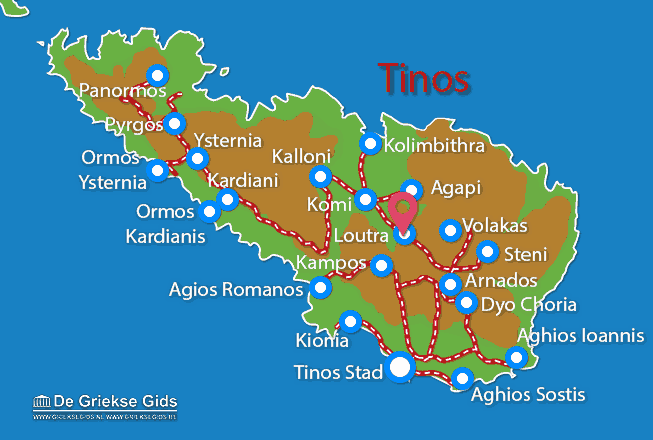 Tinos: Where on the map is Loutra located?